The Beachfront, Balapitiya is located on a lush, tropical site featuring 450 meters of direct access to four pristine beaches on Sri Lanka's famous West coast between Bentota and Hikkaduwa. Available immediately is a limited release of just 40 of the ultimately 121 apartments to be constructed. 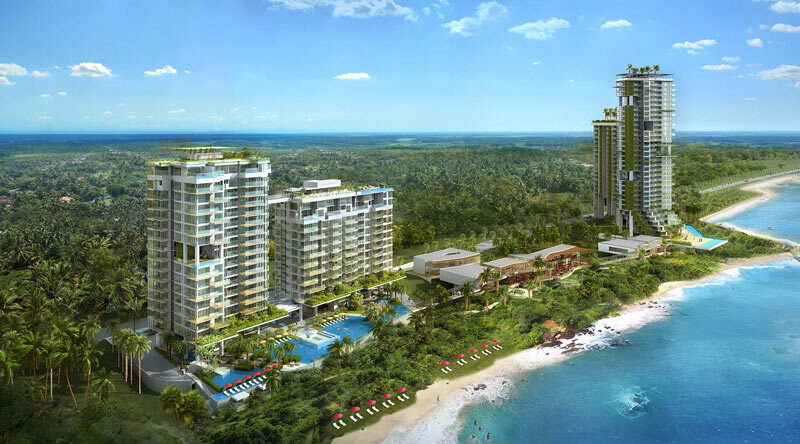 The Beachfront will be managed by the luxury Thai hotel and apartment operator Dusit Thani.